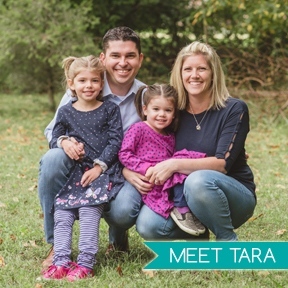 Do you love swiping right on instagram to see before and after projects people post? 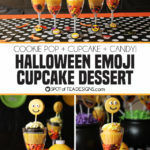 Do you love turning the ordinary into creepy in the Halloween season? Then this post is for you! 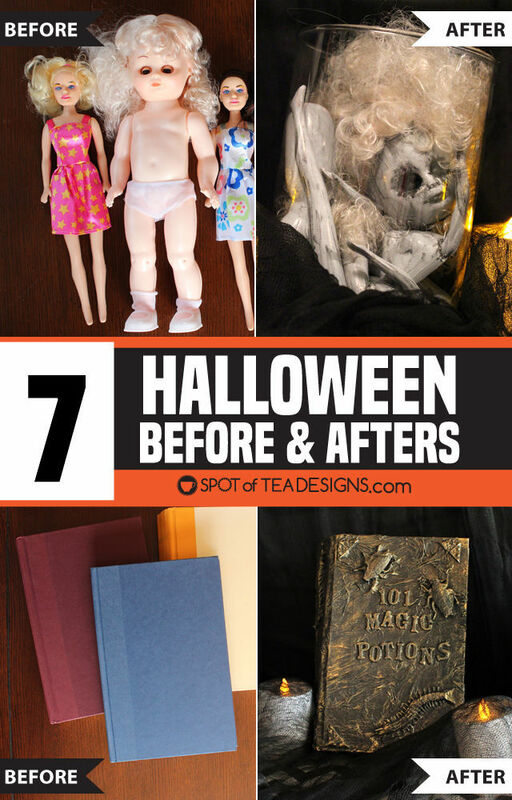 Find 7 Halloween Before and Afters of ordinary items turned into eerie, creepy or just plain dark Halloween décor. 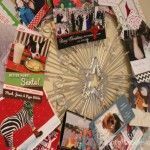 The last few years I’ve been a contributor to the Wholesale Party Supplies blog, with many of my projects appearing during the Halloween season. While I don’t normally decorate my house for that creepy holiday (as my girls are still too young) I’ve been tasked with many Halloween assignments that stretched my crafting skills! Click on each image or link to see the full tutorial of these Halloween before and afters! Summer lanterns turned Halloween lanterns. 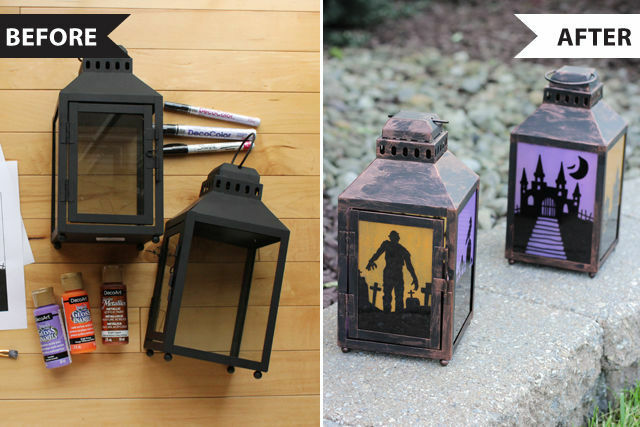 When no longer being used for those late summer nights out on the porch, you can easily turn your simple lanterns into aged Halloween lanterns. 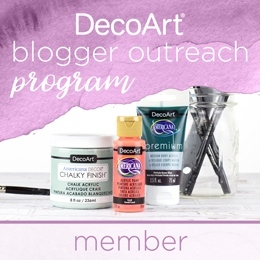 These were transformed with the help of paint pens, copper acrylic paint and Halloween designs that are offered as free printable templates on their blog! 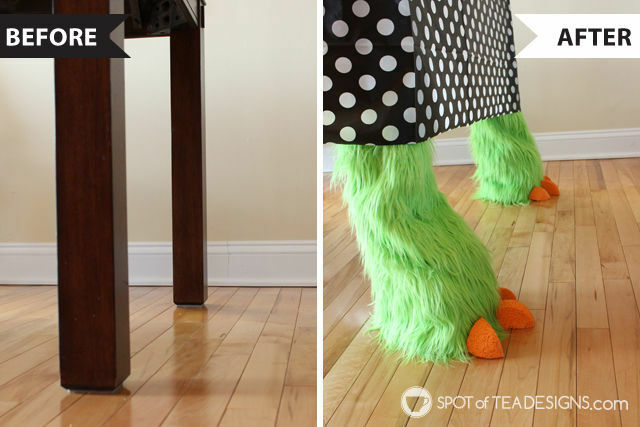 Table legs turned into monsters. This one was super easy as it was mostly thanks to a pair of fuzzy costume legwarmers. But with the help of some Styrofoam and newsletter to shape like a foot and add toenails, it instantly becomes a monster foot. 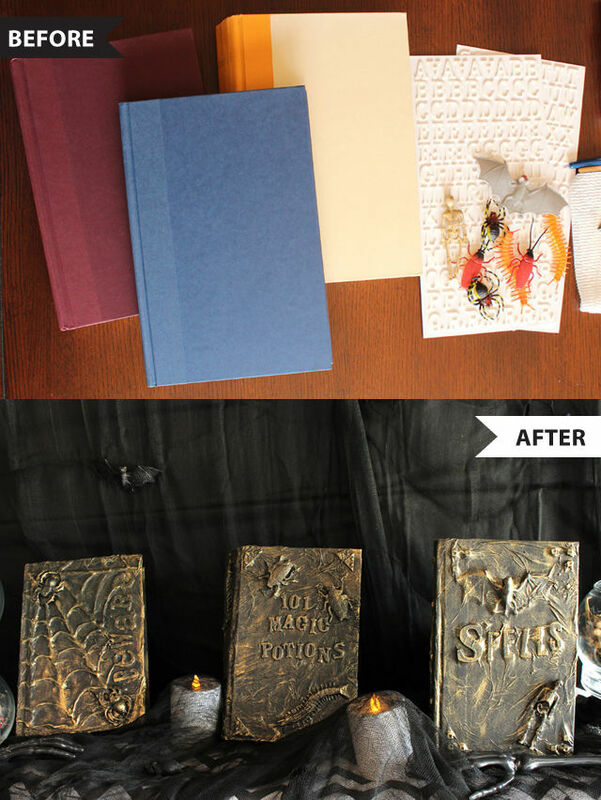 Hard cover books turned spell books. Raid the thrift store for hard cover books that are no longer being read and can now be enjoyed in the Halloween season. This Halloween before and after comes thanks to only a few materials you probably already have in your craft stash: paper towels, glue and acrylic paint. Baby dolls turned creepy dolls. 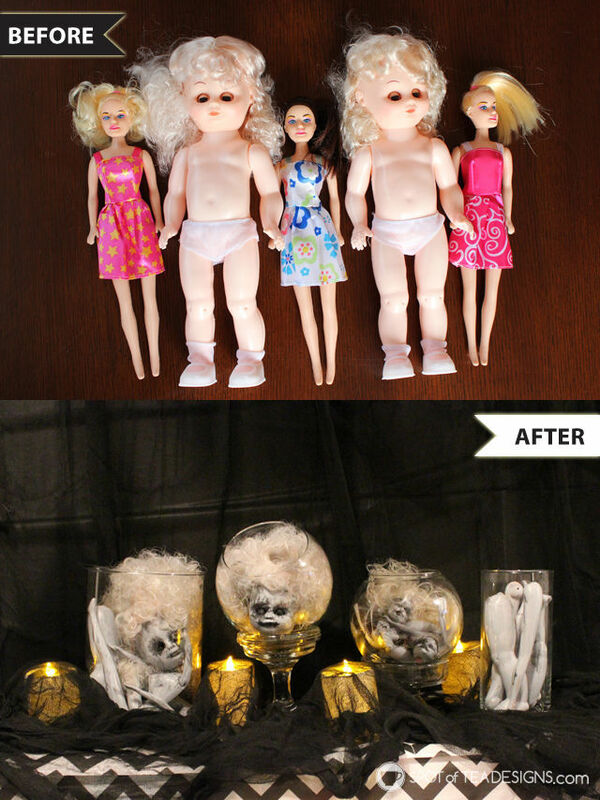 Definitely the creepiest of all the Halloween before and afters, this project turned cheap dollar store plastic dolls into a creepy Halloween terrarium, all thanks to acrylic paint! Mason jars turned Halloween luminaries. 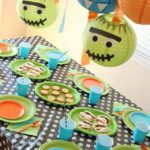 Just like the Halloween lanterns, this crafty project included free printables so you can create this same look at home! 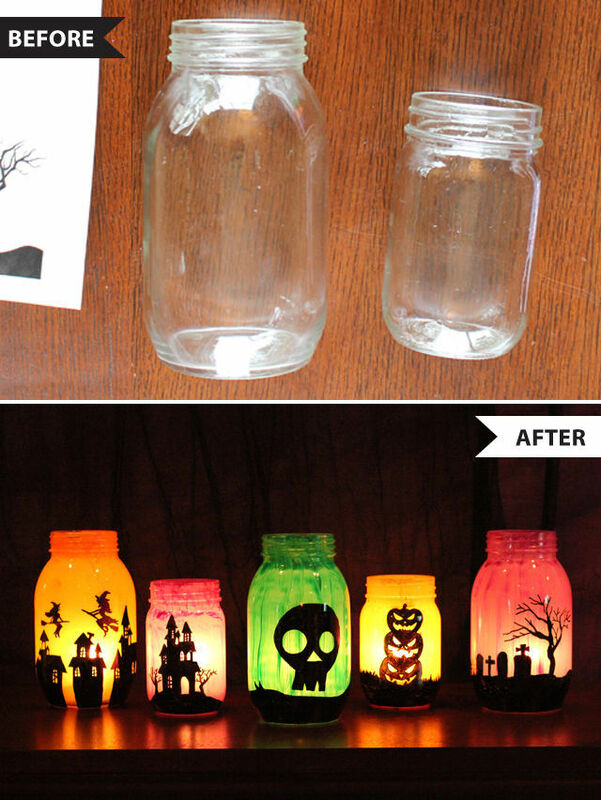 Recycle mason jars or buy them new but turn them into the Halloween variety with the help of paint and a battery powered candle! Thrifted mirror turned Snow White magic mirror. 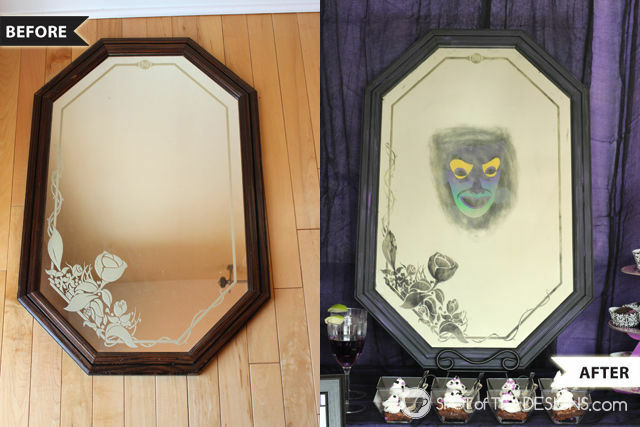 Mirror mirror on the wall, who is the coolest Disney villain craft of all? Why it’s this thrifted mirror that mimics that of the one seen in Snow White! This project includes a cool technique to remove the mirrored material from the back and have a design shine through. Consider using a creepy photo for the design that’s shown through and you instantly have yourself a Bloody Mary in the mirror situation! Recycled boxes and cartons turned haunted mansion. 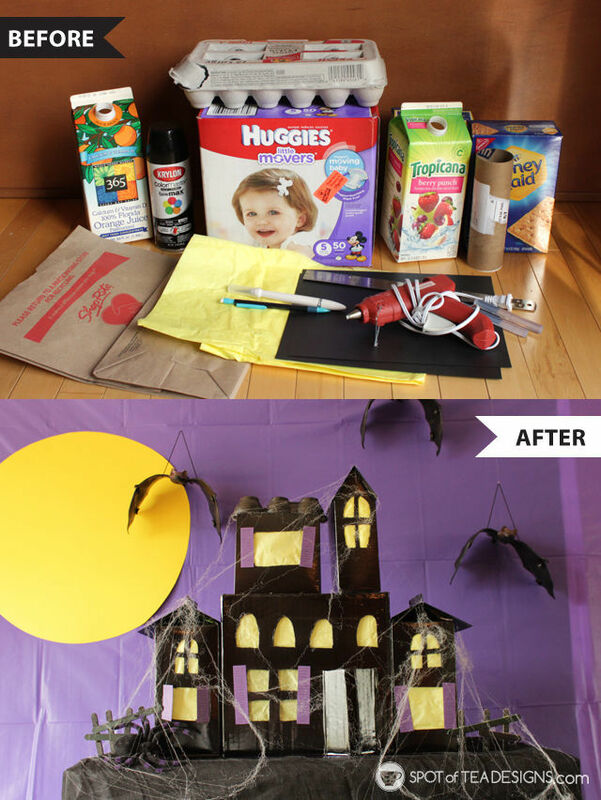 Don’t throw out those milk cartons and cardboard boxes, turn them into a Halloween centerpiece! This fun decoration was made with recycled goods and was displayed center stage for a fun Universal Monsters themed party full of delicious and super cute Halloween desserts! Inspired by a creation you see here? Tag me on social as I’d love to see your version at your Halloween bash!